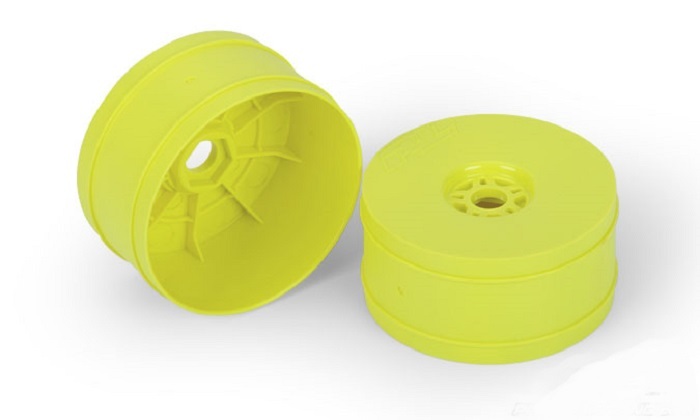 This is a set of Lightweight Velocity Wheels for 1:8 Buggies. Pro-Line lives and breathes the philosophy of Racing To Bring You The Best and that is exactly what the all-new Lightweight Velocity 1:8 Buggy wheel represents. Pro-Lineengineers worked tirelessly to create the lightest possible wheel without compromising strength to give your buggy the lowest rotating mass and the fastest acceleration ever achieved. The lighter wheel also has a slightly higher levelof flex which results in more traction in loose track conditions. The new Lightweight wheel is marked with Pro-Line's latest P-L logo giving your buggy the best possible look that matches the performance. If you are ready to bring your buggy to the next level, get a set of Lightweight Pro-Line wheels!